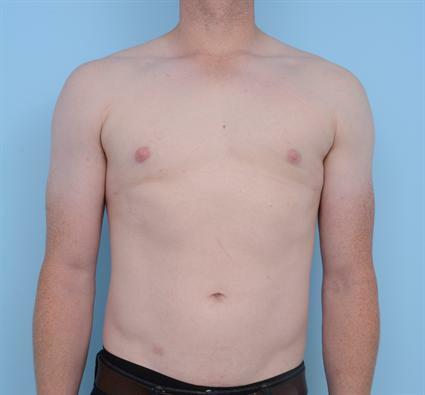 This healthy 33-year-old man was troubled by the shape and size of his breasts. 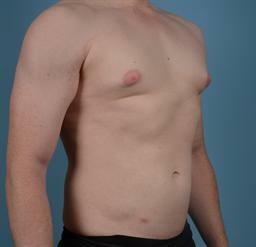 Despite being very fit and very active, the excess tissue in his chest never went away. 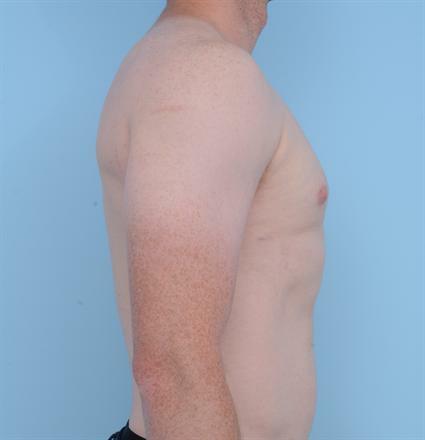 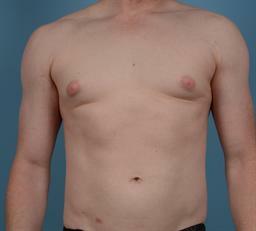 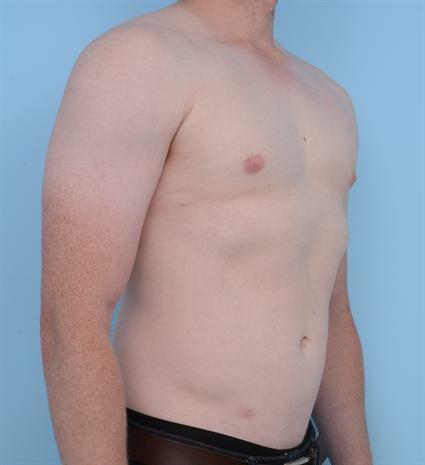 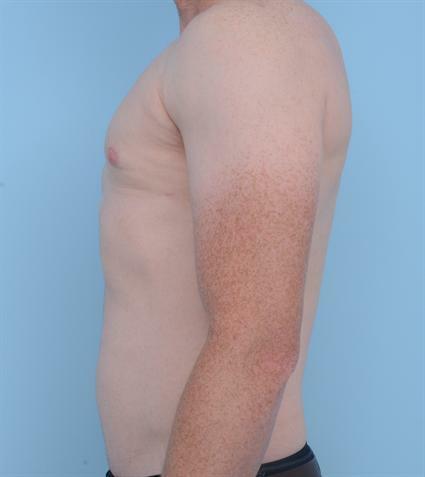 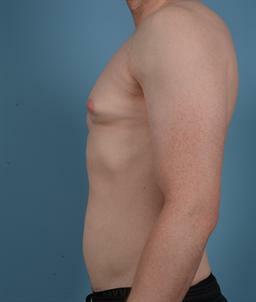 He had a gynecomastia operation done with a combination of liposuction and remote tissue removal. 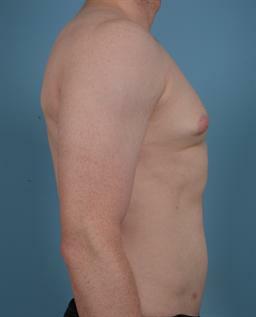 There are no scars at all on the breasts, and the post-operative shape and contour are very much improved. The size of the areola is more masculine, the feminine projection of the breast is gone, and the result is a more sculpted, fit, masculine chest.